Last month, we published a series of video interviews with C- level executives on their approaches to people and culture, while leading their organizations through the cloud journey. In this blog series I’m summarizing these perspectives, to share what I think are key lessons from these insightful discussions. In my last blog, I focused on the theme of Developing next level leaders. The leaders I talked to shared how they look for much more than technical qualifications when identifying and developing their next level leaders. They emphasized the importance of quality of character, drive, and resilience. 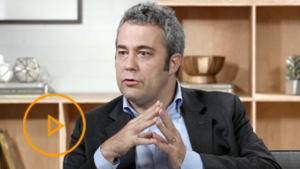 This week, I’m highlighting themes that emerged from our discussions On Failure: the video interviews on this topic can be seen on the AWS Executive Insights page here. In my conversations with other cloud leaders, I wanted to know their personal philosophy on failure, and if they too have an organization that supports the idea of failure. While each leader has some unique insight on this topic, there was remarkable consistency on the refrains of owning one’s failures (being brave enough to admit you’ve made a mistake), cultivating an organization where it is safe to fail, and ultimately learning from failure to make the next phase stronger. Shaown Nandi, CIO of Dow Jones, says that for him, the most important thing is to be open and honest along the way, and to ask for help from mentors or senior leaders early. As a leader, he strives to create a supportive environment where his team can fail, while encouraging others to follow his lead and take responsibility when things don’t go according to plan – not to cover it up or run away. Sometimes, Shaown says, the best solution is to stop, declare a project a failure, learn, and move on. For Herve Coureil, Chief Digital Officer of Schneider Electric, failure is all about self-reflection. Like me, Herve sees failure as an opportunity to look back, examine why it didn’t work and what was your role in it. For his organization, Herve says there is a fine balance of giving people the freedom to fail, yet not letting things go too far before stopping and fixing them. “It’s not something you can make a playbook on, it’s a balance,” says Herve. Failure is not always an easy topic to talk honestly about, and I appreciate these leaders sharing their candid insights and lessons. I hope you’ll enjoy this video On Failure, and our complete video series talking with these – and other insightful leaders, sharing their perspectives on leadership. Stay tuned to this blog series, as next time I’ll be sharing insights from my interviews on the topic Keeping up with the ever increasing pace of technology. 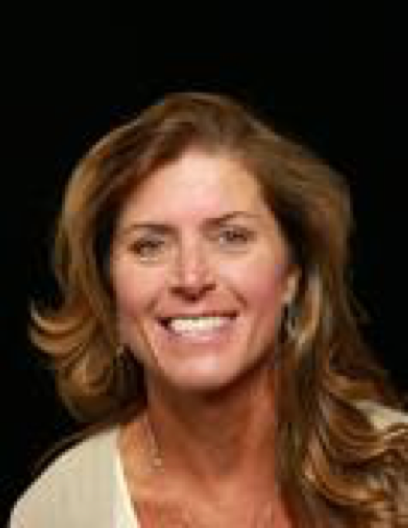 Miriam is an Enterprise Strategist and Evangelist at Amazon Web Services (AWS), a division of Amazon.com, Inc. Here, she has been given the mission to make the case to senior leadership teams, board members and regulators that transitioning to the cloud...specifically, AWS...is a sound, secure, fiduciary-based strategy to positively transform their business with high shareholder ROI. Before joining Amazon, Miriam was the Chief Information Officer, Corporate and Consumer Technologies and a leader in the Global Information Technology Division of The Coca-Cola Company. In this role with a 500+ team and $120M+ budget she provided global leadership across the enterprise on all technology matters in support of: global marketing; consumer/commercial leadership; product R&D; human resources; legal; sustainability; public affairs; and strategic security. Specific accomplishments include creating solution and information management strategy, defining global marketing technology ecosystem, simplifying and cloud-enabling the consumer facing and legacy application portfolio, and shaping new companies/products through the startup and venture capital community. Miriam's outside advisory affiliations include the Georgia CIO Council and leadership team; TechBridge; CIO Advisory Board for Box; Georgia Southern University School of Engineering and Information Technology Advisory Board; and member of The Bridge Community – a technology startup incubator in Atlanta. She received her B.S., Business Administration with concentration in Accounting/MIS from the University of North Carolina, Chapel Hill.